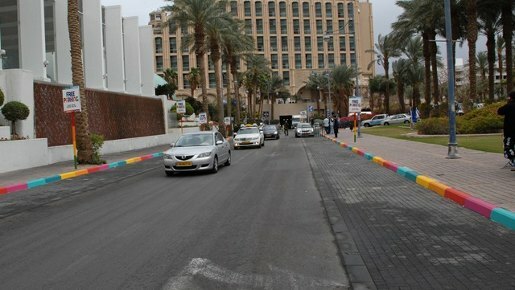 Tambour, a paint company in Israel, is celebrating Color Month with free parking on Hotel Boulevard in tourist city Eilat. Parking in Eilat is hard to find and expensive. 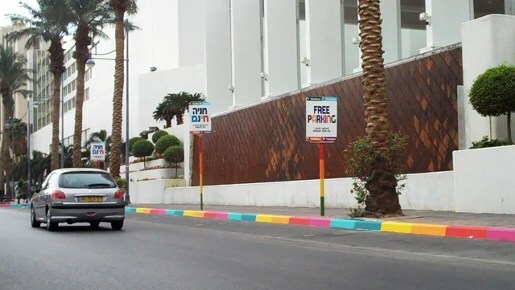 Color codes painted on the kerb indicate no parking (red/white) and parking for a fee (blue/white). 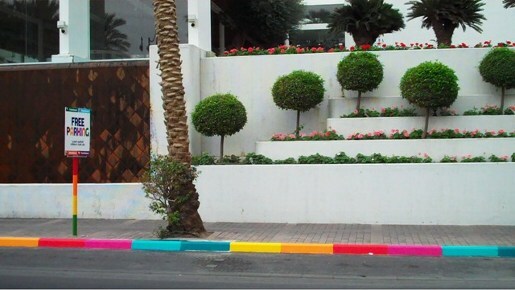 Tambour worked with the city leaders of Eilat to provide rainbow codes for a month, with the message, “Look what color can do. 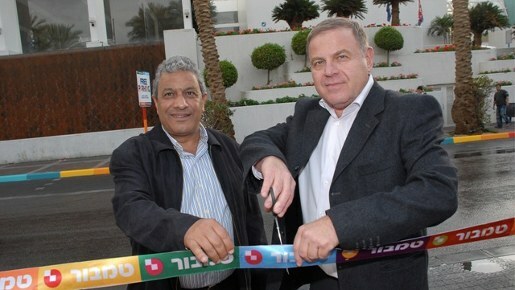 It can even give you free parking.” The campaign was launched by Eliat’s mayor Meir Itzhak Halevi and Tambour’s CEO, Michael Dayan, cutting the ribbon opposite one of the boulevard’s main hotels. 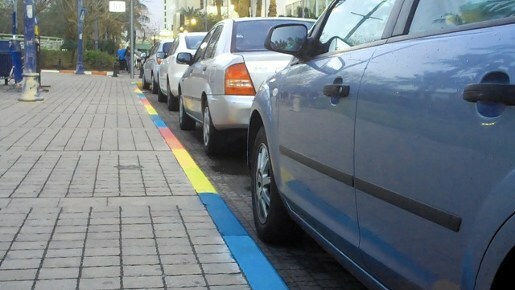 The Rainbow Parking campaign was developed at Shalmor Avnon Amichay/Y&R Interactive Tel Aviv, by chief creative director Gideon Amichay, executive creative director Tzur Golan, creative director Yariv Twig, creatives Hagai Ramati, Sharon Refael, Gil Aviyam, executive client director Tal Fishbein, account supervisor Yael Yuz, account manager Liron Ben Yakov, planning director Yehoram Davidi.